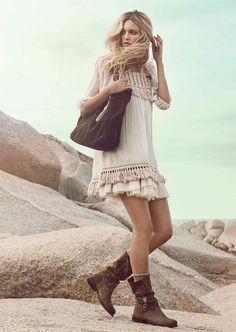 The Wild Wild West has come front and center to fashion this Spring and we are loving the rebirth of fringe!! 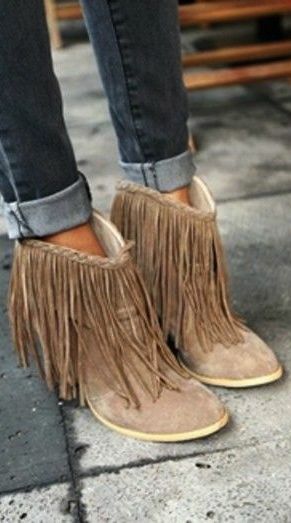 Update your wardrobe this Spring with a fringe piece and you will be rocking your inner cowgirl! I love a fringe purse to add to your spring accessories. Zara has a really cute one that I am digging, click here to purchase. 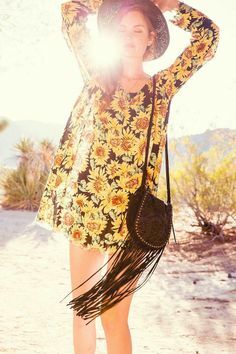 Besides the inspirational pics below to get you in the wild west mood, there are a lot of bathing suits that are sporting the fringe look. This might be a fun way to sport the trend at the beach or poolside! Also, Maje has some amazing fringe pieces that we are loving. Giddy up!